I remember, back in 1998, when Madden NFL added Franchise mode, and the impact it had on this sports series. Suddenly, the goal of the game was to no longer win that year’s championship with your favorite team. Instead, the goal became running a dynasty that lasted years - finding rookies who could became MVPs and seeing how many Lombardi Trophies you could rack up. Considering how that big innovation in Madden was an effort to pursue the greatest achievements in football - a goal that got so crazy the game started measuring your Legacy Score to track your rise to greatness - it’s interesting to see the newest addition present a more humbling challenge. 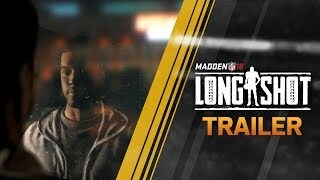 In Longshot, the new story mode in Madden NFL 18, players guide protagonist Devin Wade through a once-in-a-lifetime opportunity to try and get drafted by an NFL team. While Madden 18 delivers a middling experience with its traditional gameplay and mechanics, an issue that bleeds into Longshot, the cinematic story is charming and heartfelt. And I never thought I would use those words to describe this franchise. It would be easy (and tempting) to make this review all about Madden’s latest addition, but let’s try and cover the basics of the experience first. I’ve missed the last two entries of EA’s football franchise, but it’s funny to see how little and how much has changed at the same time. Gameplay-wise, the passing mechanics feel the same as they always have, and it’s starting to become Madden’s biggest flaw. The camera is still restrictive in its view of the field and that can mean that if you’re throwing to your wideouts you often have to do it blind, especially on screens and dig routes. That’s annoying because unless you’re going to go digging through menus to customize each formation package, the game is taking away your best wide receivers. Madden has also added a manual aiming ability for passing, but it’s cumbersome and difficult to use. The defensive changes have definitely made the game more interesting. Previously, it felt like the defense could effectively run on autopilot and still deliver shutouts, but with the additions of jumping the snap and playing the ball on defense, it’s a bit more tricky. It’s especially tricky if you’re facing a quarterback like Aaron Rodgers or Tom Brady, vets who get the ball out fast and are infamous for making defenses feel helpless. The most fun Madden has to offer in its gameplay is running the ball. Finding holes in the offensive line and timing the use of your acceleration is rewarding and it turns what has largely been a forgettable aspect of the game into something that is exciting and slick. The open-field controls also feel better than ever. Juking players out of their shoes is good fun, even if it doesn’t always result in big yards. The matchups are presented in a generic TV format. Something that Madden seems to think will remind you of the presentations you might see on FOX, CBS, NBC, or ESPN. The problem is that it’s so generic it doesn’t feel like any of those stations. It’s constantly grey and neutral and steely. The commentary is so robotic, you can almost see the script writers and sounds editors trying to make it sound human. There’s just no personality, leaving the experience feeling disposable. The game modes are where Madden loses even more steam. Ultimate Team is still around because players are clearly putting time and money into it, and the design to make it focus on challenges and earn your way into larger community events is interesting. The game also highlights local tournaments through Ultimate Team, encouraging to you complete challenges so you can qualify. 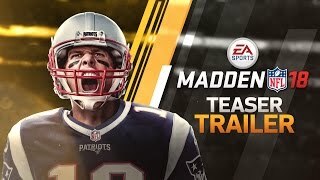 It all feels a little ambiguous, but you can sense there’s a desire to help build a community to Madden, an effort which hasn’t existed in past games. There’s also a competitive game mode that allows UT to be more balanced, forcing players to rely on skill rather than just getting the better team. Completing challenges and winning Ultimate Team games helps upgrade your squad and show off your skills. I’ll confess the bragging rights idea of Ultimate Team - grinding through arbitrary challenges to prove your worth by showing off digital collectibles - has never appealed to me. While I can appreciate a clear effort to stuff this mode full of content so players never get bored, it all feels empty. There isn’t a larger sense of achievement or satisfaction in Ultimate Team and it’s presented so blandly that even when it’s full of content, none of it is engaging. There aren’t any fun customization options for your team, or any way to really express yourself through the mode like in other sports games. The standard online play is pretty perfunctory. It takes a long time to load, but that’s an issue with the game overall. I didn’t notice any significant lag issues and I found matches pretty quickly. There’s nothing that makes Madden 18’s online standout if you’ve played vanilla online head-to-head before, but it works well. Where I’ve usually enjoyed Madden the most is in Franchise Mode. Building teams, relocating bad teams to fun destinations, and seeing how weird I can make the NFL in five years - that’s always been my jam. But this year’s Franchise mode feels like a mess. You choose to assume a role within a franchise much as in previous years, picking between player, coach, or owner. The player mode is the most simplified as it largely involves playing a practice each week and then the game. But the experience can feel like a grind. I started with a late-round quarterback, so the first season was largely spent on the bench practicing so I could raise my stats. You can turn on the “Instant Starter” option, so you’ll play regardless of skill, but I’ve always found that to be frustrating. Being on the bench, grinding experience can be boring, but playing through whole games with a quarterback who is underdeveloped leads to a lot of bad football. The issue is that the whole thing feels like white noise. There’s no excitement when you start your first game, no achievement when you throw you first touchdown. Franchise mode fails to scale down to accommodate these intimate player moments. When you come in as a backup and throw a game-winning touchdown, instead of making it special it just reminds you that in the race to be the greatest ever, you’re falling behind. There are also problems when playing as a coach or owner. Madden 18 has tried to streamline Franchise mode, doing away with the some of the series' complexities. For instance, there’s no longer a focus on maintaining a full coaching staff. You just select a head coach, a trainer, and a head of scouting. Further, Madden 18 has buried a lot of options in a complex web of menus. Finding out how to fire my coach or relocate my team was an annoying process. There’s also a need to spend copious amounts of time scouting players for the upcoming draft. This process starts at the beginning of the regular season and continues until draft day. It’s a lot of time for not a lot of information. But again, the whole thing is presented with so much sterile indifference, it hardly registers any emotion. It’s just boring. It’s missing the team and owner personality of something like NBA2k or the snappy pace of MLB The Show’s franchise mode. There’s a new feature in Franchise mode that allows you to sim a game and jump in during key moments. But Madden has a weird idea of what constitutes a “key moment”. A lot of times I would be sent out on defense to try and get the ball back while the opposing team is running out the clock and while there’s a chance for a comeback in that situation, it’s not a very good one, and those are actually the moments I want to simulate the most. But the real flaw with this feature is when the game would crash while simulating or while getting in or out of games. This happened about once every sitting, and meant I had to manually close it, reboot Madden, sit on a long loading screen to get into the game, turn back on the simulation mode I was using, and lose a chunk of progress. The technical aspects are bad throughout the experience. Everything in Madden 18 feels like it takes forever. Loading in the playbook after a play takes too long, getting into a game feels like an eternity, even loading the scout cards for rookies feels like it’s delayed. EA’s been promoting the arrival of the Frostbite engine, but the coaches still look terrible and the player interactions look robotic, especially when celebrating in the end zone. Longshot isn’t safe from this either as textures are constantly popping in. That brings us to Longshot mode. While the mode is certainly flawed, it is the most intriguing thing I’ve played in sports games in a long time. Players begin Longshot as the aforementioned Devin Wade, high school superstar and college dropout, attending a regional combine with hopes of working his way up to the draft. Wade left football after the unexpected death of his father (played by Mahershala Ali) and has only now made enough peace with the sport to give it another try. While at the combine he’s spotted by executives who are putting together a reality TV show where they try to groom a Longshot for the NFL Draft. I couldn’t help but be reminded of Michael Irvin’s 4th and Long reality competition, where players tried to win a spot in the Dallas Cowboys training camp. The highlight role goes to Jack Ford, a failed NFL coach who is on the show to prepare Wade for the draft. Longshot might be forgettable if it played out in straightforward fashion of most sports films, where adversity is overcome by hard work and grit. But the game is more interested in exploring Devin’s mental battles. Father issues are nothing new to sports, Michael Jordan left basketball shortly after the death of his father and Brett Favre played one of the greatest games of his life the night after his father died, and Wade’s issues feel on par with such stories. Wade’s internal conflicts make him a more interesting character, but so do the conflicts that surround him, from Ford’s guilt over a quarterback he drafted as a head coach, to the struggle his best friend has while trying to be Devin’s motivation, Longshot builds unique relationships for its protagonist. There’s plenty of cheesy moments, and the acting isn’t always spot on, but it still comes off as a unique experience in Madden. Yet, Longshot is more than just a story and that’s where things get shaky. The gameplay varies wildly in quality. Playing Devin’s high school career is fun as you run around the field making ridiculous throws and completing unbelievable comebacks, but when the game switches to the training sequences of the Longshot reality TV show, the gameplay can feel forced. There are segments where you just repeat what a coach tells you, which are pretty boring; football IQ tests make Longshot difficult to recommend to those who aren’t familiar with the sport, and there are quicktime sequences that are uninventive. Yet, as the narrative climaxes with a televised event where Devin has to show off his skills to the world, it’s one of the most intense gameplay moments I’ve ever experienced in Madden. And the quiet finale after I got my ending was heartfelt and touching - a rare quality for a sports game. Madden NFL 18 feels like three different games rolled into one - none of them complimenting each other particularly well. The game boasts a staggering amount of content between Ultimate Team, Franchise, and Longshot, that is bound to provide plenty of entertainment, but all of it feels like it suffers from having to split EA Tiburon's time. Longshot is exciting and new, but could use some more creative gameplay options. Franchise Mode feels like it’s only getting more confusing as it attempts to streamline itself, unsure of where to trim the fat. Lastly, Ultimate Team is still an everlasting grind with little reward, unless you spend money. All the while, technical issues plague the whole experience. There are great moments in Madden 18, with some fun and exciting gameplay moments, but they are not always easy to remember while you’re engaging with the game’s more flawed features. Most of Madden’s aesthetic is slick and steely. It quickly fades to white noise and never stands out. It’s nice to see that defense requires more skill and running the ball is a lot of fun. However, it’s time for Madden to revisit the passing game and retool the quarterback gameplay. Franchise Mode and Ultimate Team are lackluster, but Longshot mode is intriguing and engaging. 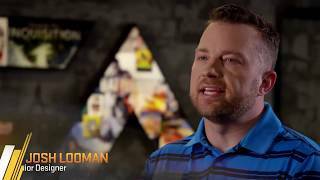 Madden 18 has put real work into building its community this year, it’s a nice touch to a decent multiplayer experience. My experience with Madden 18 was one of the worst I’ve had in recent sports games, with multiple crashes. Loading times can be especially slow. It’s nice to see Madden NFL 18 taking risks and experimenting, with good results like the Longshot mode. Hopefully the franchise will continue to refine what works, and iron out some of the technical imperfections and lackluster game modes. "The annual sports title offers some innovation, but is held back by aging mechanics and some technical issues"
Madden NFL 18 is ranked #992 out of 1435 total reviewed games. It is ranked #98 out of 174 games reviewed in 2017.